You’re probably familiar with some of the more common wedding planning mistakes, like choosing a venue before you have a guest list and not creating a solid budget (or making decisions before you have a budget). But there are a few lesser known problems couples come up against while planning. 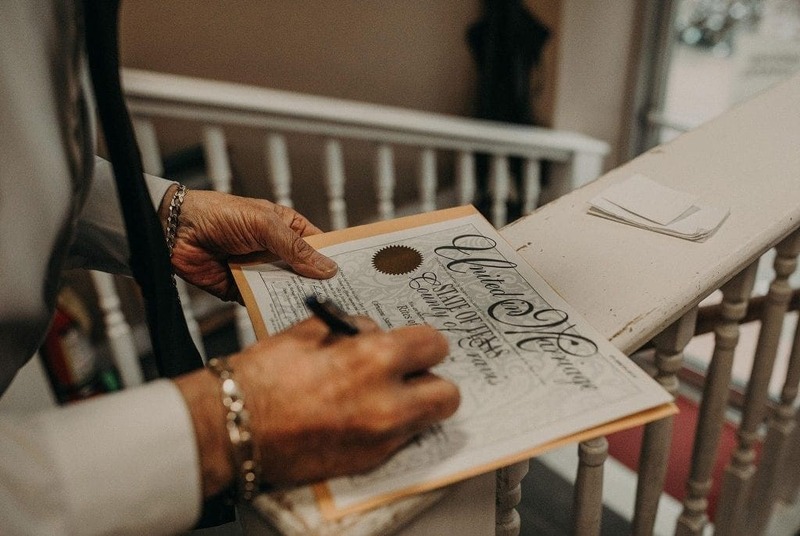 If you want to come as close as possible to mistake-free wedding planning, read over this list of 7 things you should definitely not do while planning one of the biggest days of your life. 1. Don’t invite people to your wedding when you’re drunk. You might be amazed at how many people do this. 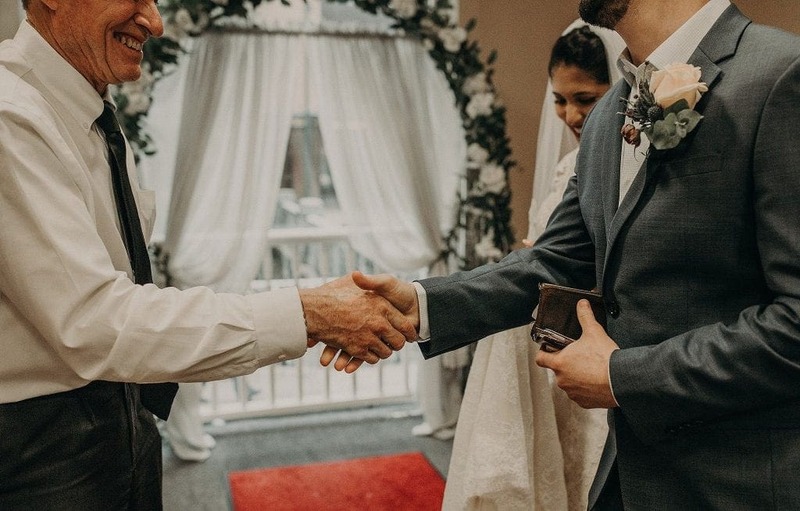 Spend any amount of time on wedding forums and you’ll see that some regrets come from brides and grooms inviting any old person to their celebration. They’re at a party or bar, having fun, sipping some drinks, mingling and feeling carefree. Life is good. Then the next day rolls around and they realize they invited someone they never planned on inviting before, like a crazy cousin, sworn enemy, or complete stranger. Sometimes the people don’t show up, but sometimes they do. And sometimes it all works out and everyone laughs about it later, but better to be safe than sorry and just not go there after you’ve had one too many cocktails. 2. Don’t skip the fine print. Read the contracts. Boring? Yes. Essential? Absolutely! You’re not only dedicating a large chunk of cash to your wedding, but quite a bit of time, so it would be a shame to get taken advantage of. “It’s all right there in the contract,” the vendor will say. And there won’t be a thing you can do about it because you signed on the line. Keep yourself safe by reading through the fine print and/or having someone who may have a better understanding of contracts read them. 3. Don’t fall down the Pinterest/Instagram rabbit hole. When you first begin wedding planning, you’ll probably scroll through endless photos of inspiring wedding details on Pinterest, Instagram, or some other social media site. There’s nothing wrong with that, as it can help you get started, but once you’ve made a decision, stick to it. Don’t second guess or overwhelm yourself by continuing to take in all the things (DIY projects, decor ideas, dresses…). Besides that, a lot of what you’ll see is just plain unrealistic. It won’t turn out exactly like the picture or you won’t have enough in the budget to pull off everything on your Pinterest boards. Trust yourself and your decisions and move forward in excitement. 4. Don’t forgo researching marriage license laws. This is a big one because it’s different in each state, and if you don’t get it right, you won’t be legally married. Do your research and find out what the law is in your state. For example, a Texas marriage license has a waiting period of 72 hours and is valid for 90 days. So if you wait until the day before your wedding to obtain the license, you won’t get it in time for the ceremony. On the other hand, if you apply for a license 92 days before the wedding date, it won’t be valid once you’ve walked the aisle. Long story short – do the research! 5. Don’t go on a crash diet. First of all, they don’t work, and second of all, trying to lose weight so you’ll fit into a smaller size gown or pantsuit or whatever you choose to wear is just asking for trouble (obsession, stress, sleepless nights). Instead of ordering an outfit that’s two sizes too small and hoping you’ll be able to fit into it come wedding day, order the outfit in your current size and vow to eat healthy and exercise as you wedding plan. If you don’t lose the weight, oh well – you’ll still have something that fits. And if you do lose the weight, all you have to do is get some alterations. 6. Don’t wait until the big day to wear your shoes/outfit. 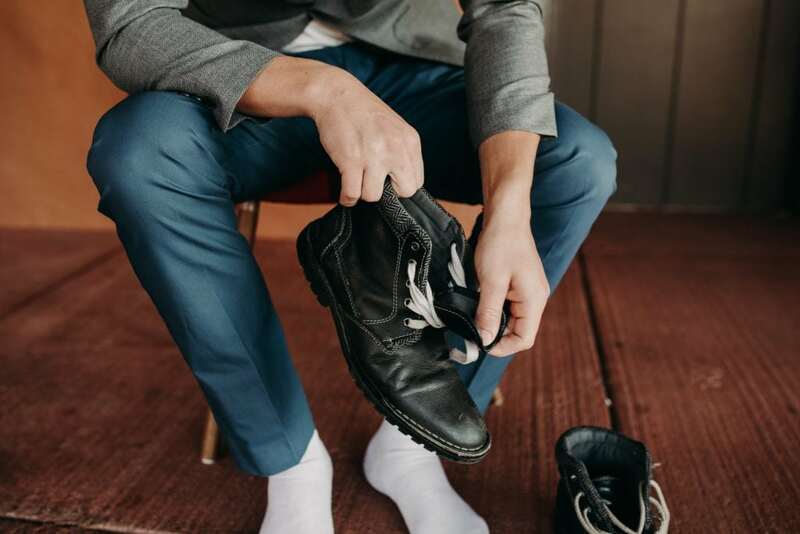 Chances are you’ll be donning a brand new outfit and shoes on your wedding day, so it’s important to “break” them in before the day actually happens. You’ll be standing, walking around, and dancing for most of the wedding, so knowing how your shoes and dress/suit feel during those activities is important information. Plus, dancing in a pair of unworn shoes is just asking for blisters and cramped feet. Do yourself a favor and take your wedding-day attire for a spin before it’s time to say your I dos. 7. Don’t get down on yourself. Instead of beating yourself up when you’re fed up with wedding planning, slow down, take some time off if you need to, and remember how you felt in the beginning. Take care of yourself during this exciting time and keep in mind that things won’t ever be perfect, you can’t please everyone, you might need some extra help, and damn it, it’s you and your fiancé’s day. Now go conquer the adventure that is wedding planning and look forward to the end result. Currently planning your wedding and needing some tips? Let’s talk!